Does anyone have a schematic / diagram for a 6 point subframe brace? I'm planning to build one (i have the experience to do it) but instead of welding / mocking / cutting under the car, i would like to ask if someone has any info on this thing. The original design was out of Abbott Racing in the UK. A company here in the USA might have made an almost exact copy of that with a minor diff or two. People here tend to flame for the second company's rights when someone asks your question although they don't seem to flame the second company for borrowing the design of the first. Grkguy was making some of a similar layout for a while at a very reasonable price. He might still be doing them. But, if you wanted to do your own it's fairly straight forward assuming you can weld. Get a spare subframe and model it. The only interesting part is the ends where the bolts have to attach to the subframe - you need some sort of end that a bolt can go through and then attach to the subframe in a flattened way. Think of a 1" tall tube with a washer on top that is welded to the end of the rod. Where are you geographically speaking? I had an idea for another brace that I was thinking of making. If you are nearby I might collude with you on that. Last edited by BobSaabit; 4 Weeks Ago at 10:49 AM. I'm in Europe, i move quite a lot, Spain, UK, Netherlands, Greece, eastern europe as well but i think i have one idea : whenever i can get to a car elevator, i'll lift the car so i can measure the distance between 6 mounting the holes and the extra drop needed to clear the exhaust pipe. Then i'll design everything in 3D CAD and if i'm lucky i'll try to print out a prototype or just create a mock from plastic tubes (glue together) so can prototype faster. Then if it fits properly, i'll transfer the design to metal pipe. Europe is too far for me to drive. I would also need a submarine enclosure for the Saab, so that's probably out. The one I have is not from Abbott or GS (another knock off), but I could probably photo an end piece as it's still off the car. But, it is essentially what I described. You could use a thick, hardened washer and probably eliminate concerns about longevity. A few photos of the end pieces will definitely help. And some photos of the 2 flat rod pieces that fit into the subframe... No rush tho, i'll probably start building this in about 2 weeks. Btw, how much did you pay for the 6 pt brace? In europe i can find them for 220+ Euros (about $250), i find that a bit expensive for a few steel rods welded together. The ends are basically a tube with one opening smaller than the other. For the front 4 bolts they screw into some captive nuts that are welded to some flat stock and slid inside the subframe legs. The rear 2 bolts use a rivet like threaded insert, basically you insert the threaded insert into the subframe (using already existing holes) and has you tighten the bolts it 'rivets' the insert to the subframe and hold it tight. Look at the GS instructions and it will show you all of the mounting points, they use existing holes in the subframe. The way I'd go about doing it would be to measure the distance between the two front holes and make up the captive nut flat bar thing (one for each side), and then buy two of the rivet inserts, make up 6 of the caps and bolt those in place and then just measure cut and tack weld the tube to make the brace, pull it off and weld it up properly. thanks jake, that's even better than my plan, sticking on the 6 end pieces and then measuring / cutting / tacking the bars in place should be faster and more precise than the method i was thinking about. What kind of rivets should i use for the rear 2 bolts? Also the bars for the brace, are they hollow or solid core? Last edited by andykao; 3 Weeks Ago at 04:47 AM. Something like this for the inserts (https://rivetsinstock.com/rivet-nuts...d-inserts.html). The bolts are M10 thread IIRC, with an internal hex head (allen) but I'm sure you could use whatever, using the internal hex head means you don't have to allow clearance for the socket to fit over the bolt head. The tubes are hollow I believe. 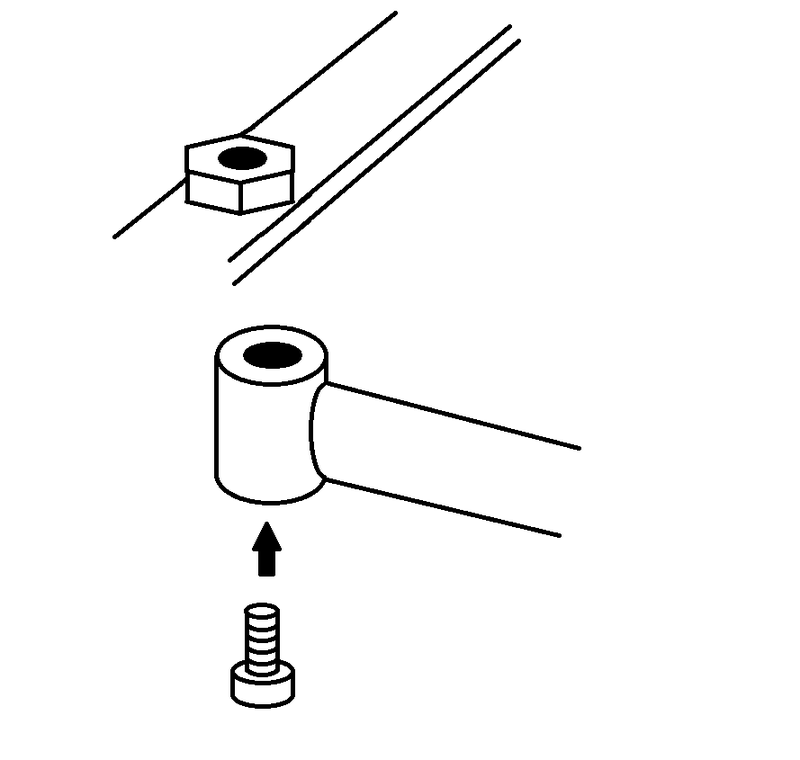 EDIT: The threaded bolt diameter is 3/8" or 10mm. The riv-nuts are a bit larger in OD, obviously. The weight of the brace leads me to believe they are solid bars. You can't actually see any of the ends as they are all capped. Since it's rigidity without brittleness that you are looking for, I would think that a thick walled solid tubing would probably do what you need. I will likely be meeting with my favorite mechanical engineer today... I can ask him what sort of material he would use (given no specs to decide :-). Last edited by BobSaabit; 3 Weeks Ago at 11:58 AM. The stiffness of the brace would be greatly increased by increasing the vertical dimension of the material vs. the horizontal dimension. Ex: increasing the width by a factor of two increases the stiffness by two times, but an increase in thickness by the same amount increases stiffness by eight times. We are somewhat height limited, so increasing height changes would be limited. Another point: a square tube will have more stiffness than a comparable round tube. You'd be better off with a 1" square, 1/8" walled tube vs a 1" round, 1/8" round tube. Same rule if you use solid material with the lead going strongly to the square material. Since a square tube wold require no additional height and it adds stiffness, it's the way to go. Lastly, the square tube would make the ends a breeze - drill through and you can mount. I'd probably put in a spacer of solid material to stiffen it and avoid crushing the tube, but it would still be far easier than making ends for the round bars. To be honest, after doing some research i was about to go with the square tube as well, from a fabrication perspective it is easier use and like you said, making the end bits would be much easier with this (just a hole through the material and that's that). Thanks for letting us know it's much more rigid than the round tube (i was guessing the same but wasn't sure) - i now know this is the best way to go. I've been trying to source a rear anti roll bar, even the ones from the scrap yard are extremely expensive here in in Europe (100 EUR for a used one - pretty crazy), so i'll probably build a one myself - not sure if i'll use a single piece of tubing and bend it (somehow, build a jig myself or find a shop where they can bend tubes) or just a 3 part design and weld them together (not sure if the weld will hold up properly). For $ 100 you could have GS ship you a rear bar... European freight notwithstanding. FWIW, rear bars are always solid. Since the function of the bar is to twist with resistance, I’d stick with solid. You’d have to have some serious welding skills to make one without a bender... unless you use heat - then you have to be really careful not to change the metal’s characteristics. i have contacted a few local shops who do metal working and have a bender, i'll see what pricing they'll offer me for this. as for a brand new rear ARB, already found some in europe for 100-120 EUR (and cheap shipping). thing is, i didn't expect the used ones to be this expensive. one more q : i see the 22mm arb is rated to street cars and the 25mm one is for track cars. what's the actual difference? isn't the 25mm just better because it's stiffer? what downsides are there to a stiffer bar? Tube is stiffer than solid rod. I'm a little concerned that the author of that article mentions using a heavy sway bar with soft springs. That's a dangerous combination that can result in unpredictable handling.